Q: What famous mystery writer had dyslexia? 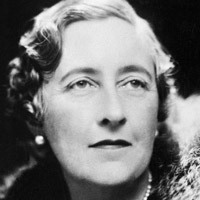 Agatha Christie is the best-selling author of all time, with about four billion copies sold and translations into at least 103 languages which is an impressive accomplishment in itself. The fact that she did this while diagnosed as being dyslexic is even more remarkable. Christie’s writing process consisted of a great deal of time spent working out plot details in her head and jotting down erratic ideas, potential plots and characters as they came to her in dozens of notebooks; then she would dictate her stories into a Dictaphone machine and a secretary typed the typescripts. Follow this link to learn more about Agatha Christie. Follow this link to learn more about dyslexia.